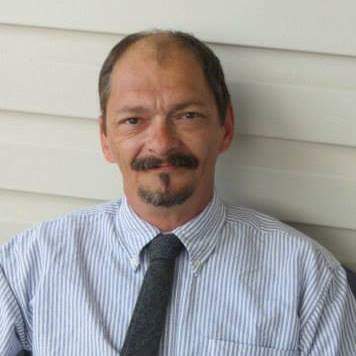 Richard “Dickie” Bourdeau, age 55, of Gladstone passed away on Friday, November 16, 2018. Dickie was born November 9, 1963 in Escanaba, the son of Richard and Patricia (Reed) Bourdeau. He was united in marriage to Colleen Davis on December 4, 1998 in Escanaba. He worked as a machinist for Independent Machine for many years. Dickie enjoyed grilling, shooting darts for Kipling Bar, and spending time with his family especially his grand kids, He loved music and laughter. Dickie is survived by his wife, Colleen; four sons, Josh (Ardi) Bourdeau of Escanaba, Tony (Lindsay) Bauer of Gladstone, Jack Bourdeau of Gladstone and Patrick Bourdeau of Gladstone; four daughters, Tricia Bourdeau of Kaukauna, WI, Chris (James) Flatt of Gladstone, Chelsea (Jay Stasewich) Peterson of Escanaba and Shawna Bourdeau of Gladstone; numerous grandchildren; his parents; two sisters, Jodi (Todd Nelson) Bourdeau of Escanaba and Cheri VanDrese of Escanaba; four nieces and four nephews. He was preceded in death by two sons, Brandon Peterson and Jesse Bauer. The family will receive friends on Tuesday, November 27 from 4:00 PM to 6:00 PM at the Skradski Funeral Home in Gladstone. A Celebration of Life Service will follow at 6:00 PM. Our deepest sympathies to you and your family. I have had the privilege of working with Rich for many years and have had many discussions with him. He always was so proud of his children and talked of them so lovingly and very often. He also expressed many times how Kelly was the love of his life! He loved you all dearly! He is sadly missed. God Bless you all and comfort you during this trying time. Rest in piece my friend. I will never forget our friendship as we were growing up.